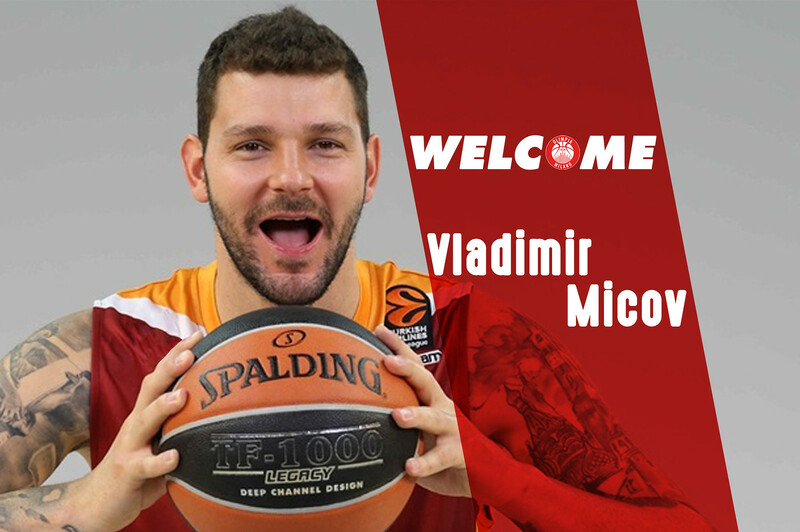 Pallacanestro Olimpia EA7 Emporio Armani Milan agreed on terms with 2.01.mt forward Vladimir Micov, coming from Galatasaray Istanbul. WHO’S MICOV – Born in Belgrade on April 16, 1985, Micov grew up with the Beopetrol Belgrade junior teams. During rhe early part of his career he played flr several teams: Nova Pazova, OKK Belgrade, Buducnost during two different periods winning two Montenegro titles, Partizan where he won a Serbian championship. In March 2009 when he was with Buducnost he was traded to Panionios Athens and finished the season there. He then moved to Spain in Vitoria but in March 2009 he left to sign for Cantù making his Italian league debut. In Cantù he averaged 10.4 points per gane while converting 39.4% of his threes during the 2011/12 EuroLeague season. He stayed in Cantù until the end of the 2011/12. He signed for CSKA Moscow after that and spent there two seasons winning one Russian championship, two VTB Leagues and making two trips to the EuroLeague Final Fours (he averaged 7.7 points per game shootinf 42.3% from three in his first season; he scored 7.6 points per game the following year but he converted 48.8% of his threes). He also spent the last three season with Galatasaray Istanbul. He helped the team win the Eurocup and was names in the All-Eurocup first team (12.9 points per game, 42/48 from the line). During the last season he averaged a career-high 11.2 points per game in EuroLeague, he converted 43.2% of the threes and played a career-high 29.1 minutes per game. In the last Turkish league season he had 11.6 points per game (ha made 41.0% of the threes). NOTES – During his three Italian seasons he averaged 11.8 points per game in 2009/10, 10.2 the following season when Cantù made the Italian league finals and 10.2 again in 2011/12… During the 2015/16 Turkish season he averaged 14.3 points per game while comnecting 55% of his threes.da tre,.. His EuroLegue best is 23 points against Olimpia during the last season… He won the gold at the 2001 Under 16 European championship with Serbia and the bronze at the 2005 Under 20… Three times he helped Buducnost to win the Montenegro Cup.